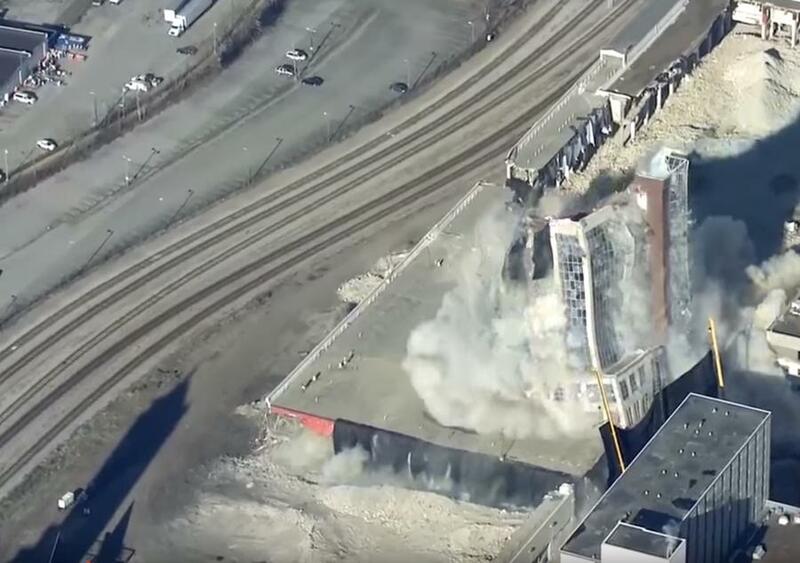 Nashville’s LifeWay Draper Tower successfully came down section by section in a planned implosion Jan. 6, which used around 600 lbs. of explosives. Nashville's LifeWay Draper Tower successfully came down section by section in a planned implosion Jan. 6, which used around 600 lbs. of explosives. "Everything went 100 percent perfect," said Steve Pettigrew, who was in charge of executing the implosion, The Tennessean reported. "In downtown urban areas where you have glass and utilities sometimes, a lot of structure there...we just inspected it and everything looks great." The site will eventually become the new home of a mixed-use development area called Nashville Yards, including a 380-unit residential building, two office buildings with a total of 700,000 sq. ft. of space, 90,000 sq. ft. of retail space and green space, The Tennessean reported.